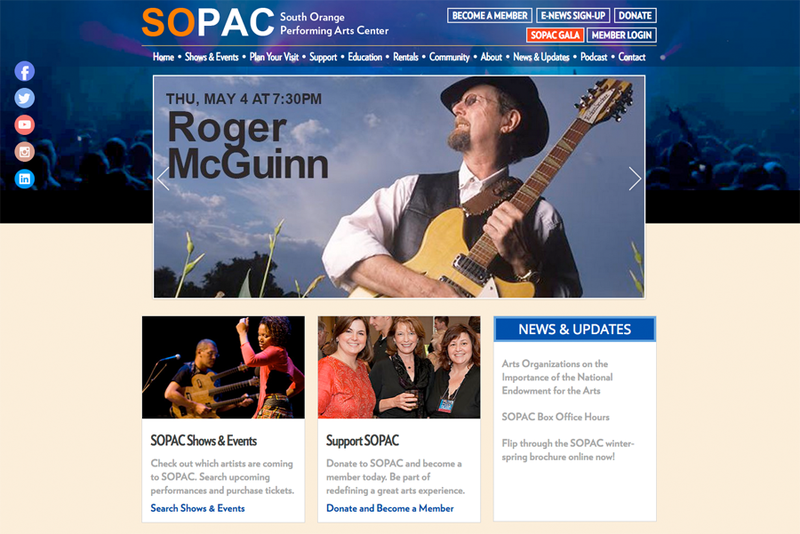 Rebranded website increased ticket sales and donations. 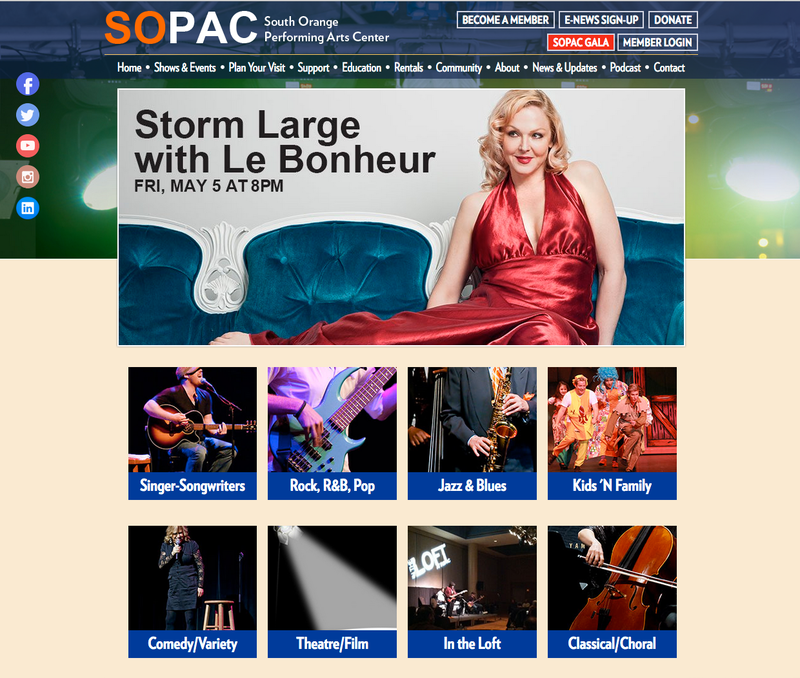 The South Orange Performing Arts Center’s new branding and website captures the excitement of live entertainment. 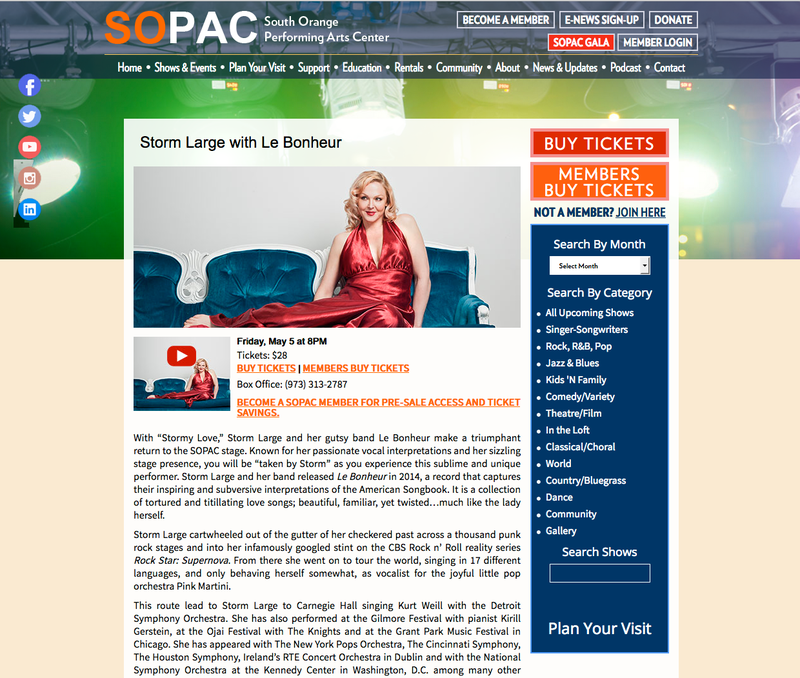 A revised User Experience made it easier for potential ticket buyers to search for upcoming acts. A landing page for each upcoming act allowed potential ticket buyers to sample photos, audio, and video clips, all to encouraging sales. We also streamlined the online buying process. The end result is an increase in ticket sales — not to mention a happier Board of Directors. 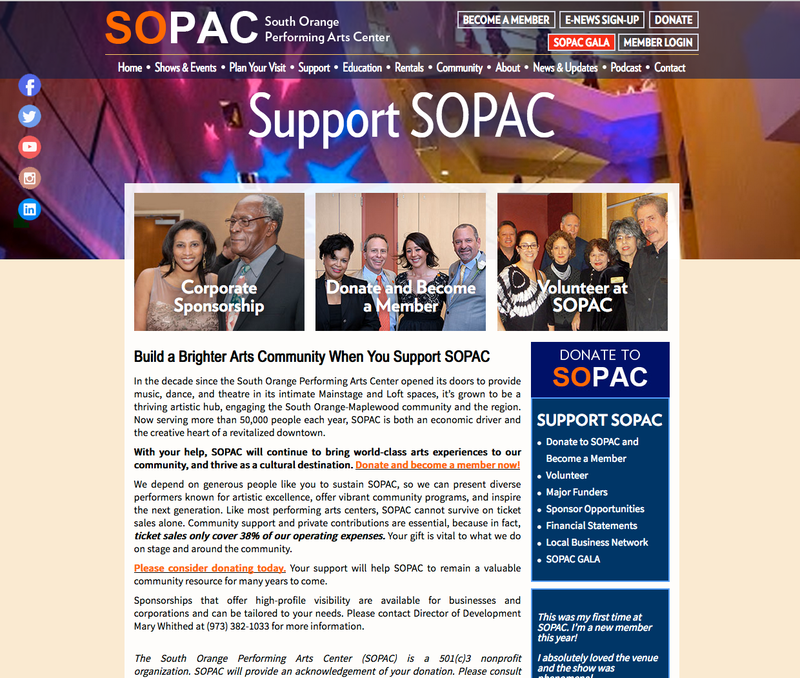 SOPAC is a non-profit arts organization. The website is also a “hub” for the programs conducted for the benefit of the local community. 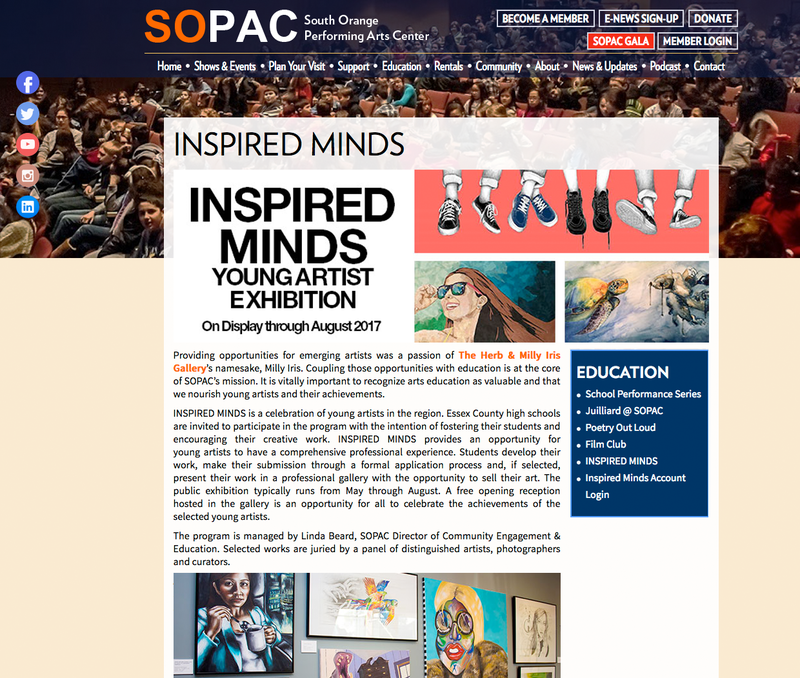 The site includes sections on Supporting SOPAC with a donation portal, Educational Programs, which includes “Inspired Minds”, a yearly student arts program that can be entered entirely online, Facility Rentals, and Community Events. 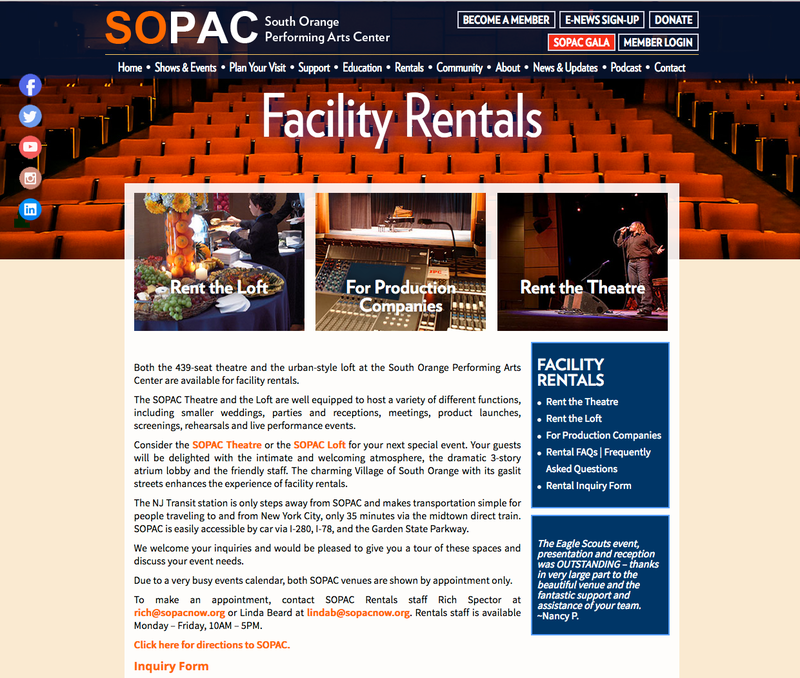 SOPAC also produces a monthly podcast of upcoming shows and events.